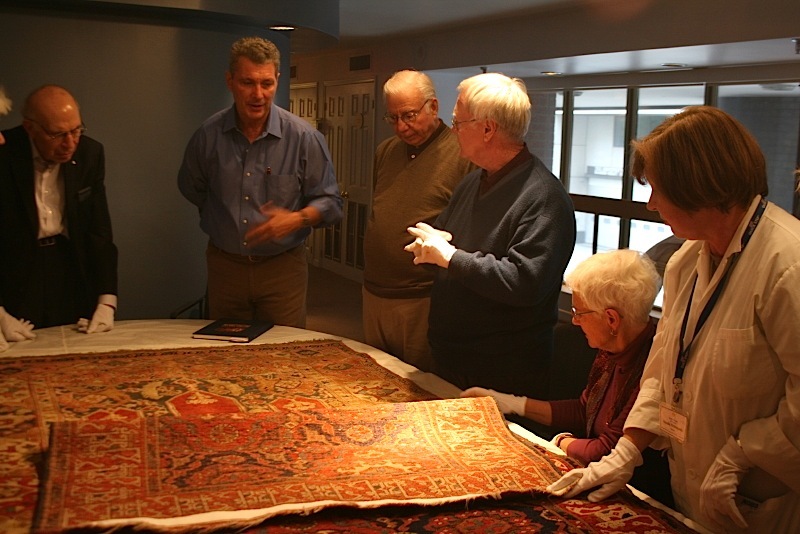 Tuduc’s forgeries have fooled museum curators, auction experts, great collectors or carpet scholars of the calibre of James F. Ballard, M.S. Dimand, Kurt Erdmann, Joseph V. McMullan, Ulrich Schürmann. 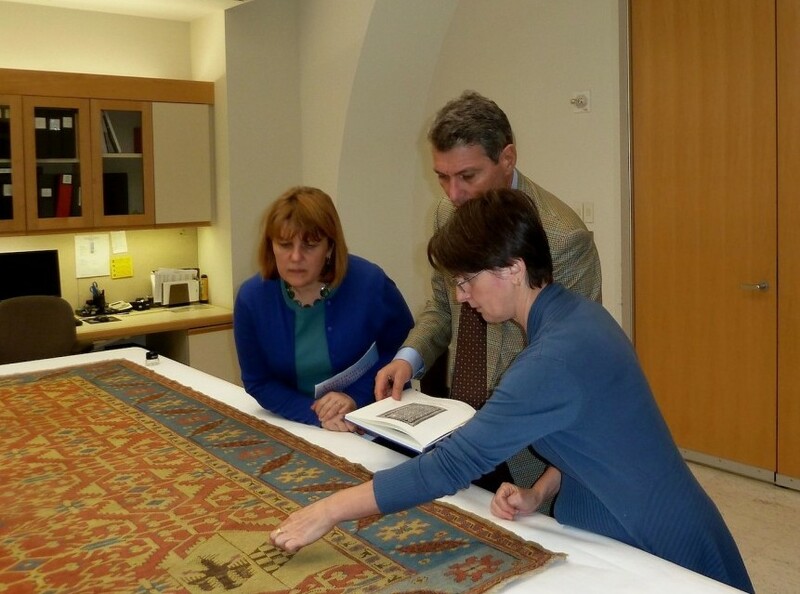 These rugs are featured in private or museum collections of Europe and America, including the Museum for Islamic Art of Berlin, the Victoria and Albert Museum, the Metropolitan Museum of Art, the Textile Museum of Canada, The Nickle Arts Museum of Calgary, The Bruckental Museum in Sibiu, The National Museum of Art in Bucharest. It is not infrequent to discover these fakes in reputable private collections. 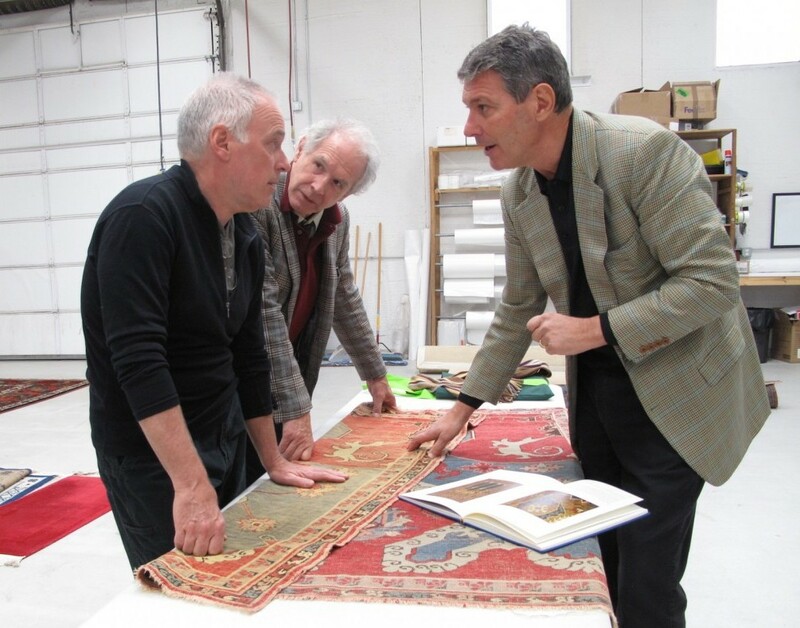 Interestingly, Tuduc rugs, rather than being dismissed as the work of a charlatan, have become collectible in their own right, and although not valued on the same scale as the prototypes, they have increasing value as objects of historical interest. 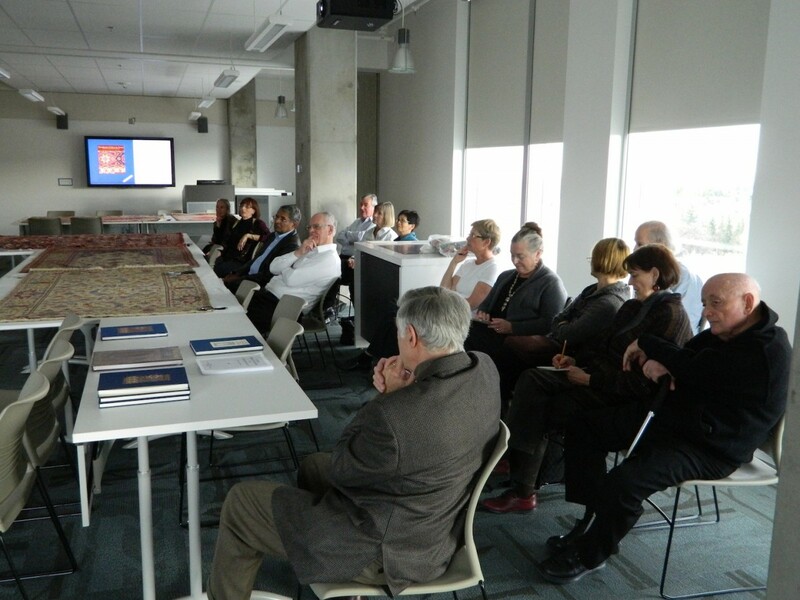 Stefano Ionescu spoke on Tuduc forgeries in European and American collections, presenting about 80 slides on significant facts about Tuduc and his rugs. 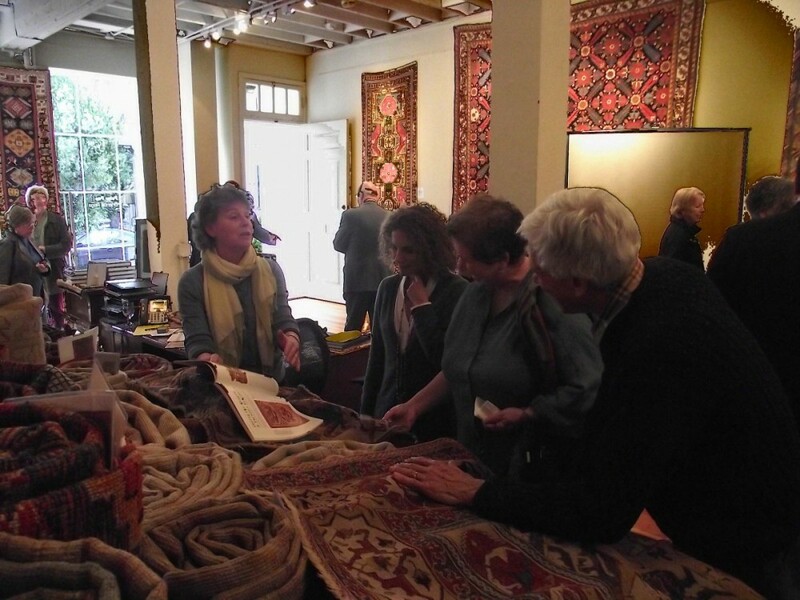 Then, during the hands on session participants discussed Tuducs and some questionable rugs which were compared with authentic examples. 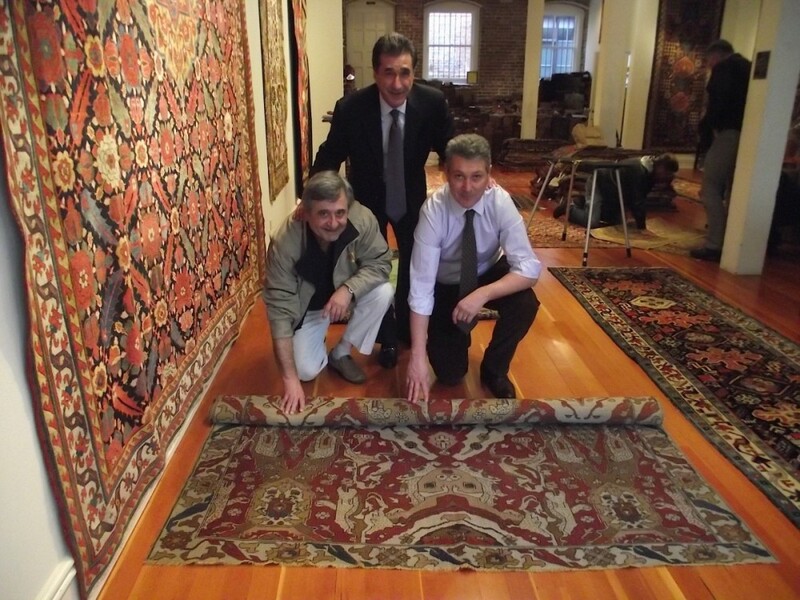 The presentation was based on a 10 years research covering the main carpet museums, auction houses, dealers and private collections in America, Europe and Romania together with field work in Bucharest, Athens, Budapest, London, NY, Denver, Toronto, Calgary, California, etc. 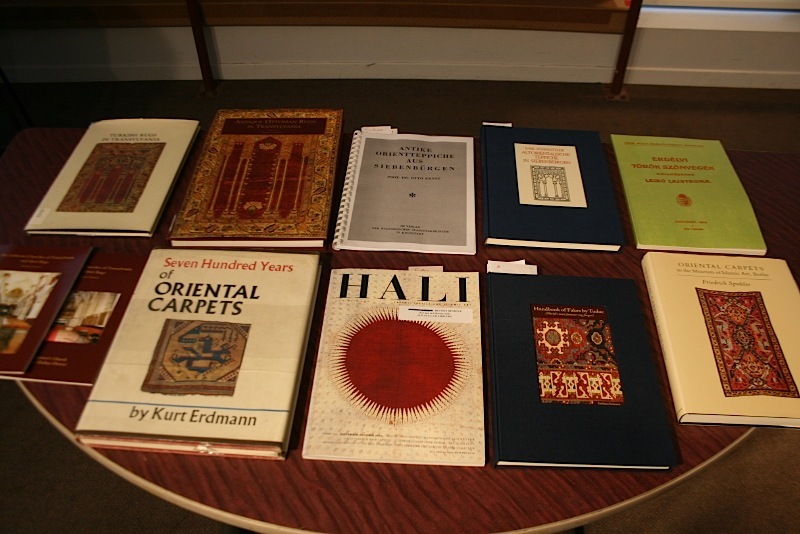 The material was assembled in the 4th edition of the publication Handbook of Fakes by Tuduc (160 pp.,). Please contact stefano_ionescu@yahoo.it if you want to reserve a copy of the Handbook. 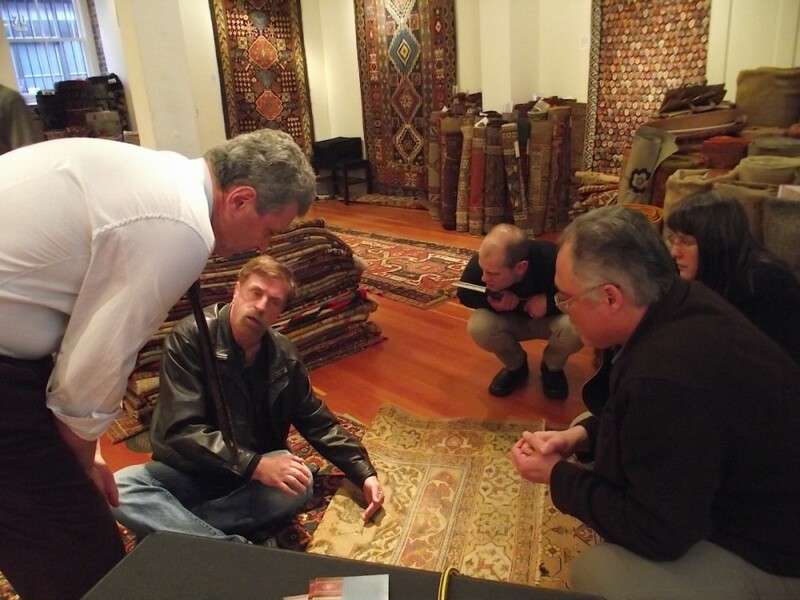 The workshop ended with an interactive design-guess session based on photos of rugs: Are these fakes? Are they just copies? How to unmask a fake? 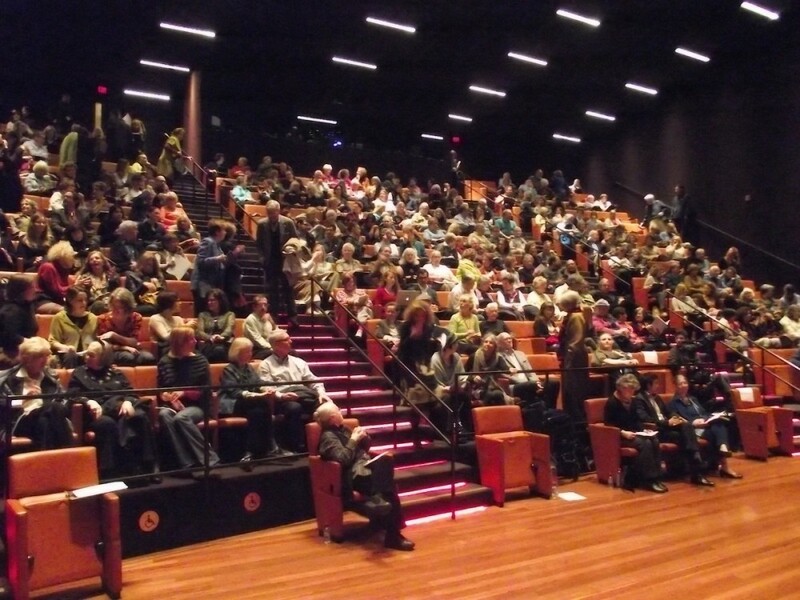 When should a fake be attributed to Tuduc? What is their value? 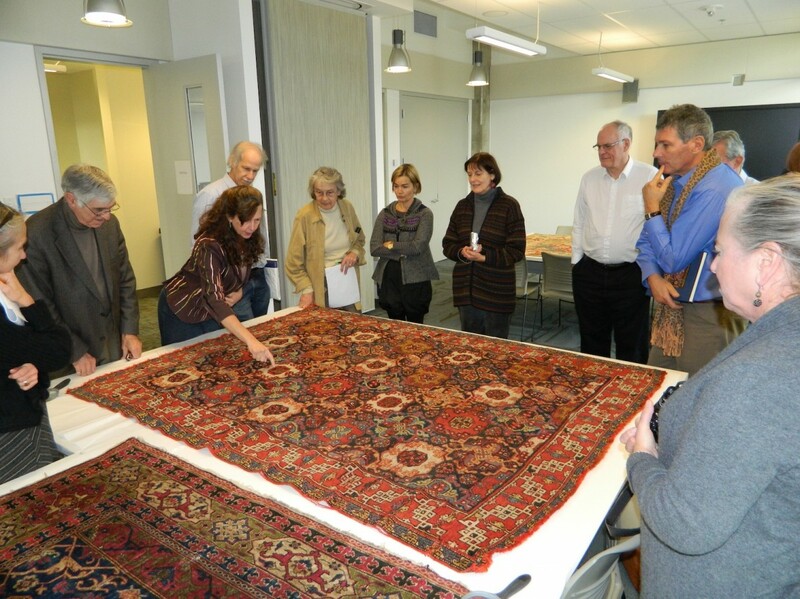 In October 2011 the Textile Museum of Canada of Toronto hosted a Workshop on Teodor Tuduc’s rugs followed by a similar event at The Nickle Arts Museum of Calgary. 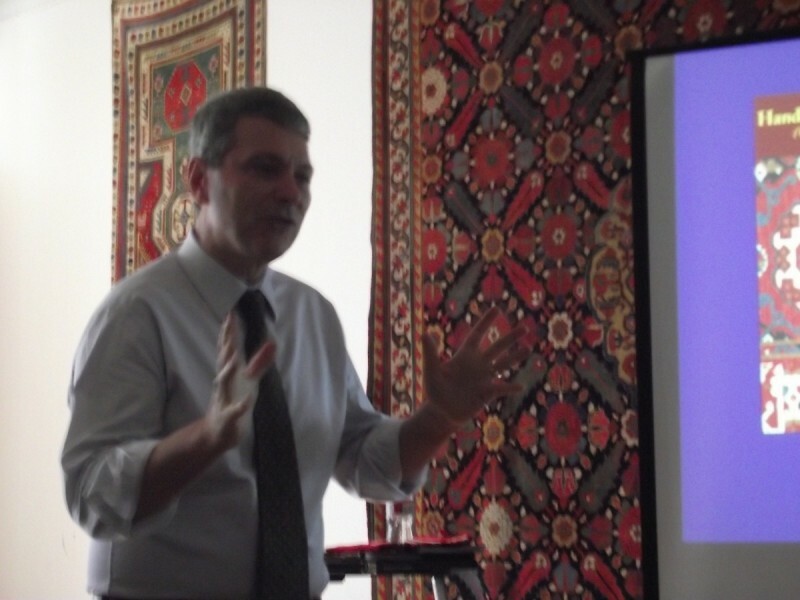 Stefano Ionescu is a native Romanian living in Rome. 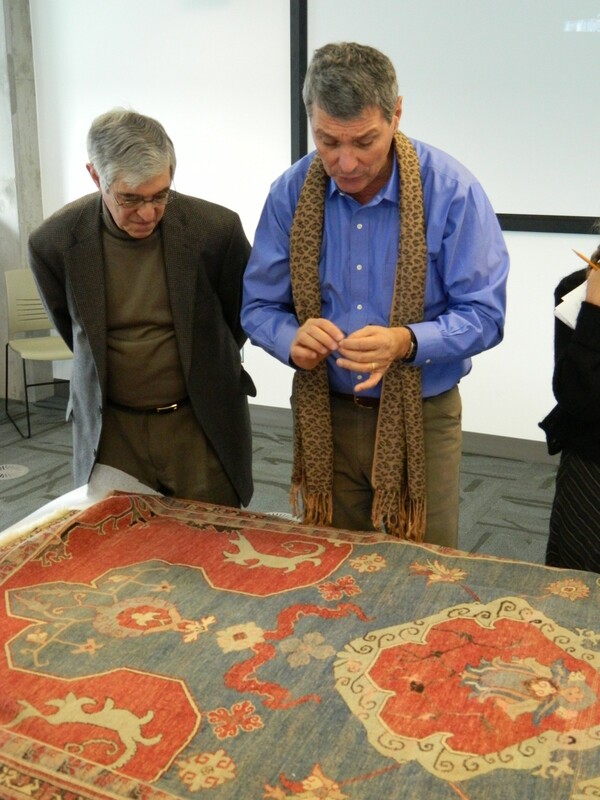 An independent scholar, he has been studying Transylvanian Anatolian rugs for more than a twelve years. 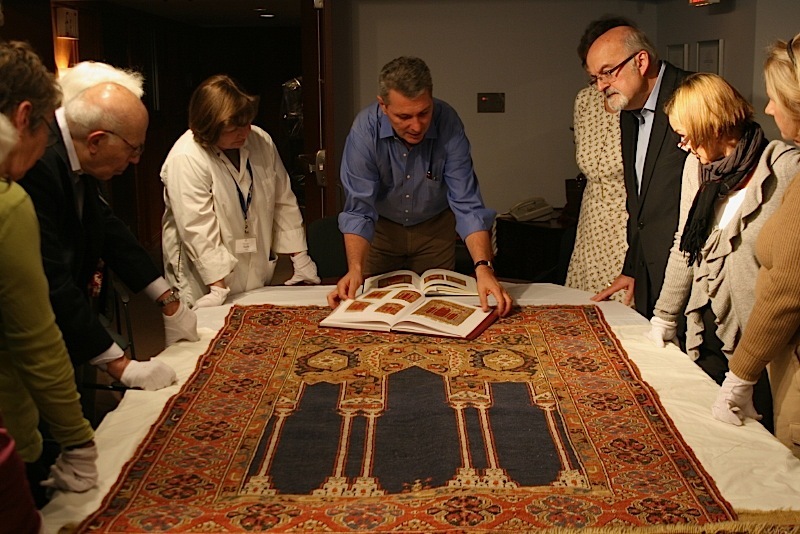 His publications include Antique Ottoman Rugs in Transylvania, winner of the Prize of the Romanian Academy in History of Art as well as numerous scholarly articles on HALI, OCTS, GHEREH and curated exhibitions. 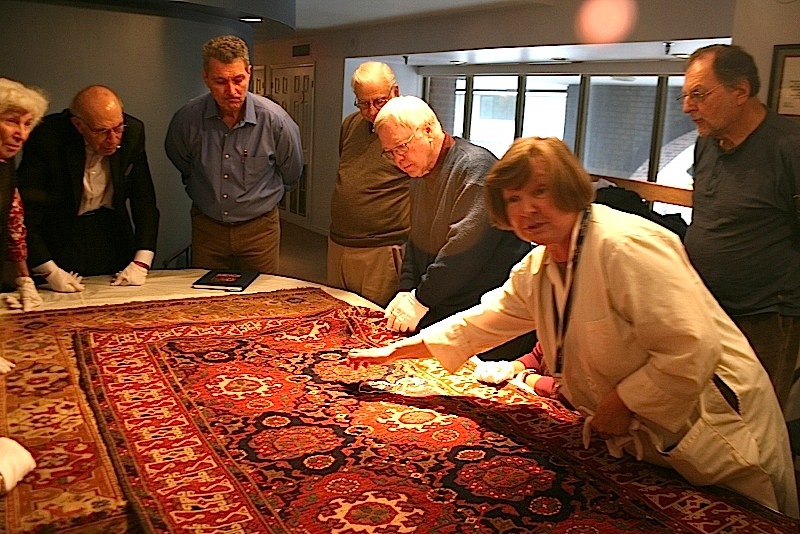 At ICOC 2011 Stefano Ionescu was awarded the Joseph V. McMullan Award for scholarship and Stewardship in Islamic Rugs and Textiles. 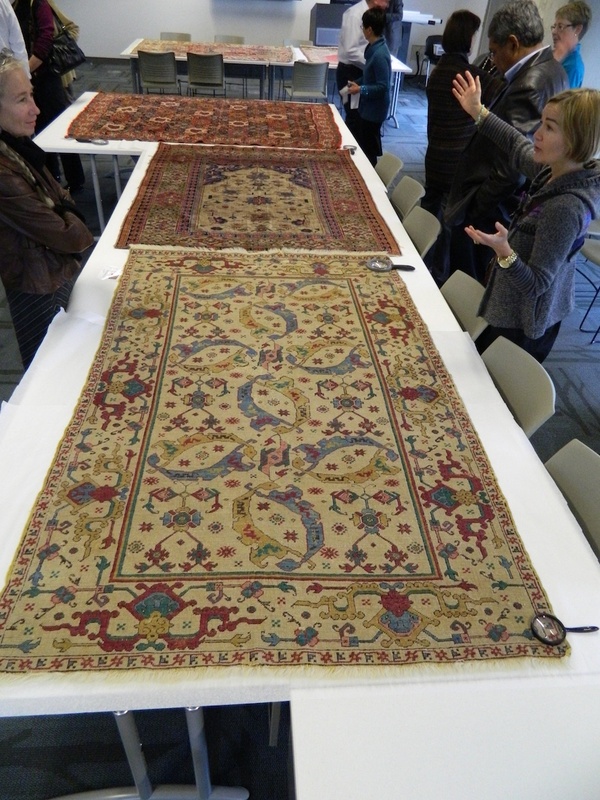 This event was organised by the San Francisco Bay Area Rug Society (SBARS) and Peter Pap Oriental Rugs in connection with the Mini-Symposium Museum Fakes, Forgeries and the Quest for Authenticity at the De Young Museum and with the San Francisco Tribal & Art Show.